“Avoidance is a way of coping with anxiety about being shamed. Repeated avoidance results in limited engagement and poor outcomes for programs designed to Close the Gap. These strategies can be as important as culturally appropriate processes in programs. 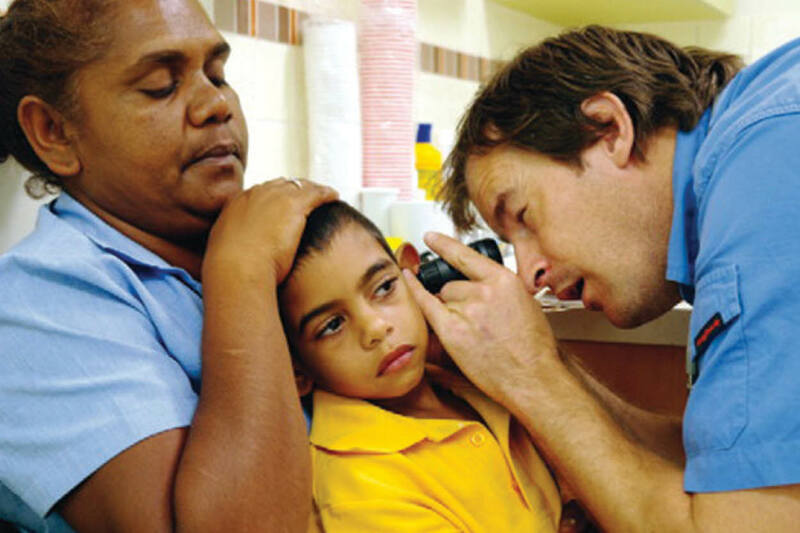 Hearing loss among Indigenous Australians is a largely unseen barrier to Closing the Gap programs, according to Dr Damien Howard and Jody Barney, who explain how to be “hearing loss responsive” in service delivery and communications. ” Indigenous Australians have one of the highest levels of ear disease and hearing loss in the world. Communication difficulties caused by the widespread unidentified hearing loss among Indigenous people in Australia continue to undermine the effectiveness of Closing the Gap programs. Many people act on these kinds of feelings. They seek to avoid people, situations and service providers because of these reactions. The everyday communication difficulties caused by their hearing loss contribute to anxiety and disengagement. They will often seek to avoid education, health and employment support services designed to help them. For instance, people may not go to health clinics, or do not comply with provided treatment. Avoidance of specialist medical appointments is one feature of this. In some specialist medical visits to remote communities, 50% of patients do not attend booked appointments. This can have dire health implications for individuals. It is also an immense waste of resources. When hearing loss begins early in life, it has greater impact than the late onset hearing loss that is experienced by non-Indigenous Australians who are hard of hearing. Their hearing loss is generally caused by occupational noise exposure and ageing. Indigenous hearing loss is usually caused by endemic childhood middle ear disease. Children with current ear disease often have a temporary hearing loss. Repeated infections can cause lasting damage and some level of permanent mild to moderate hearing loss. Up to 70% of Indigenous people are affected — fewer in urban communities, more in remote communities. The impact of this hearing loss is pervasive. We know that school attendance rates for Indigenous children with hearing loss are below those for other students. We know they experience more difficulty with learning when they do attend school. We know they display more behavioural problems when at school. We know Indigenous workers with hearing loss have difficulty securing and holding jobs, have greater performance difficulties and frequently avoid participation in workplace training. There is also increasing concern about hearing loss as a factor in the over-representation of Indigenous people in the criminal justice system; 94% of prison inmates in the Northern Territory have been found to have a significant degree of hearing loss. Those familiar with Indigenous disadvantage may wonder why they have not heard about the incidence and impact of hearing loss among adults. One reason is that early onset conductive hearing loss is mostly invisible. First, most Indigenous people who are hard of hearing are not aware that their hearing is not normal. The early origin of their hearing loss means it is something they have experienced for most of their life. For them, what they how they hear is ‘normal’. If asked, they would deny having a hearing loss. Second, service providers (teachers, nurses, doctors, trainers, health professionals, social workers and police among them) are unlikely to recognise poor hearing as an issue for people they work with. Communication difficulties arising from hearing loss are generally attributed only to language and cultural differences, or to limited intelligence or poor motivation. The latter two perceptions, when noticed by clients astute in reading body language, can further compound disengagement. It is easy to imagine that hearing aids are all that is needed to resolve issues. They can help some, but will not resolve all communication difficulties. The communication issues experienced by an adult with early onset hearing loss are the result of both current hearing loss and the ‘legacy effects’ of unidentified hearing loss since childhood. These may include a preference for visual communication strategies, anxiety related to an intense fear of being ‘shamed’ and a limited store of contextual knowledge that helps with understanding what is said. A store of contextual knowledge is what people normally acquire through fully hearing what is said to them, and around them. Without a store of relevant contextual knowledge — the big picture — what is said in any situation is harder to understand. So people with early onset hearing loss not only have trouble hearing what is said, but they also frequently have difficulty understanding what they hear. Avoidance is a way of coping with anxiety about being shamed. Repeated avoidance results in limited engagement and poor outcomes for programs designed to Close the Gap. The use of hearing loss responsive communication strategies can help to deal with this barrier. These strategies can be as important as culturally appropriate processes in programs. Indeed, there is an overlap between the two. For those with hearing loss, what is said in culturally familiar language within a culturally familiar process is easier to understand. We believe Closing the Gap programs will continue to fall short of targeted outcomes until they are designed to be responsive to the needs of those with hearing loss.